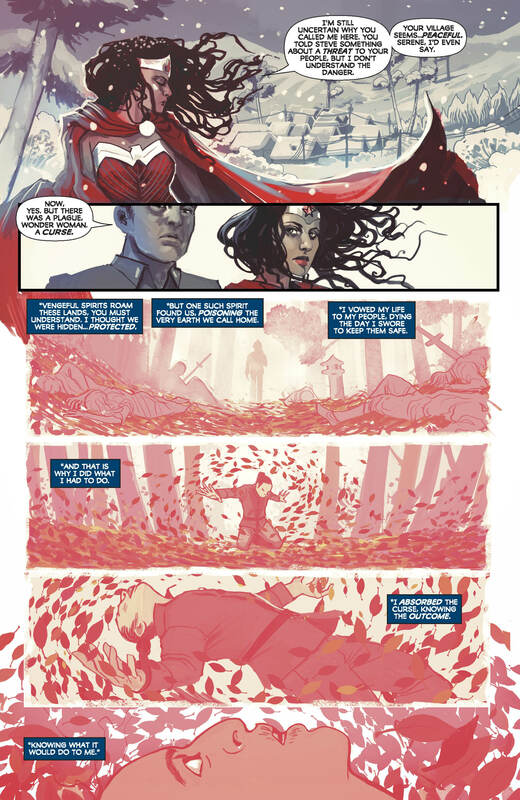 Wonder Woman Annual #1 features a strong collection of short stories which each highlight a different element of what makes Diana such an amazing hero. This week is one monumental week for Wonder Woman. After 75 years, the Amazonian princess is finally about to star in her own movie – which it turns out is critically acclaimed. 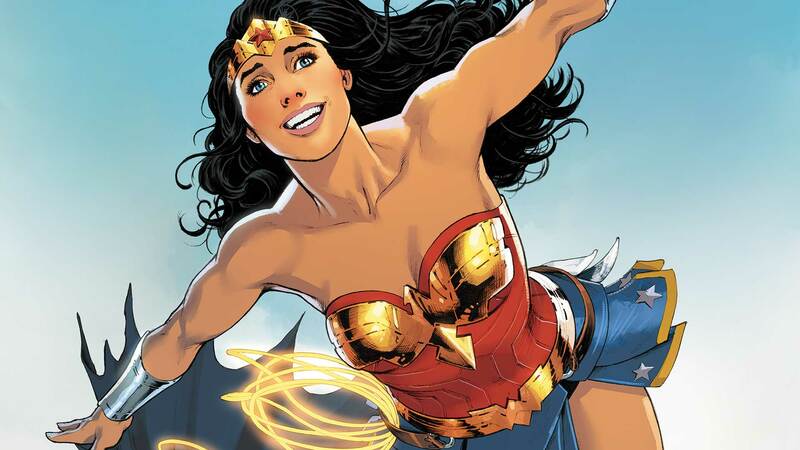 To mark the occasion, DC has given us Wonder Woman Annual #1, the first annual to star the character in the Rebirth era. It’s an anthology collection containing several short stories which each demonstrate just how amazing Diana is. 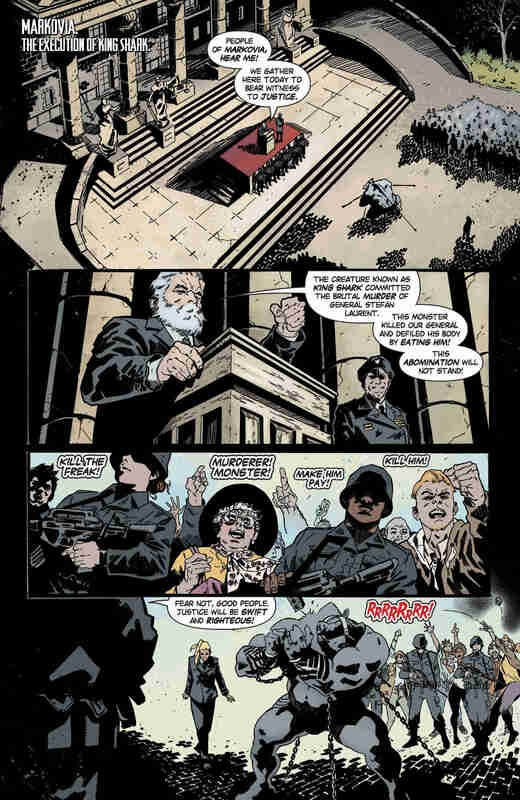 The highlight for many fans will be the annual’s opening tale, ‘And Then There Were Three,’ courtesy of current Wonder Woman writer Greg Rucka. 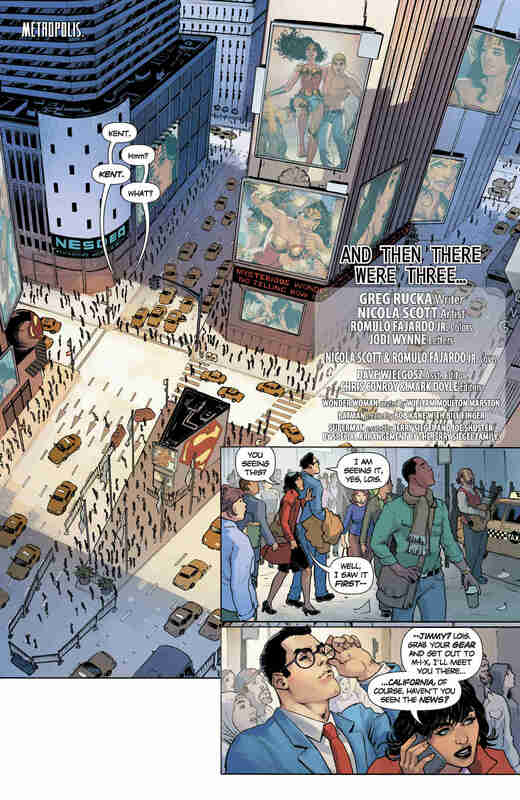 It’s a retelling of the first meeting between the Trinity – Superman, Batman and Diana. 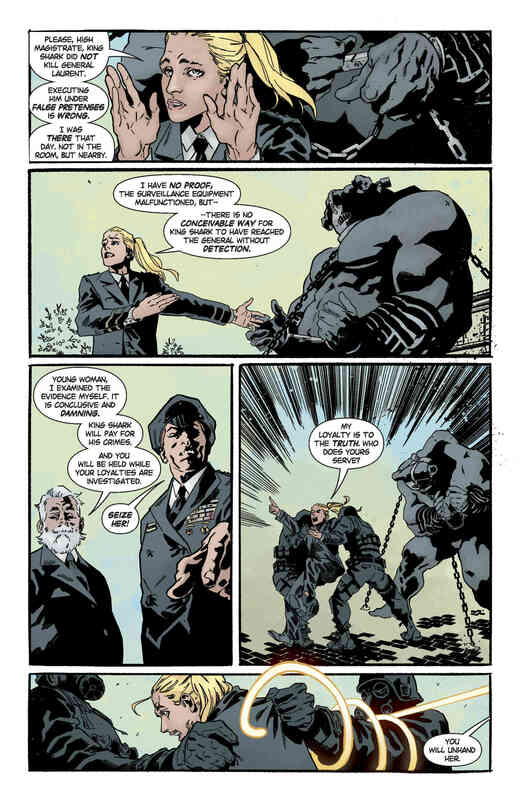 It’s a great little piece, with Rucka nailing in broad strokes the differences between these three heroes. Superman is sunny and hopeful, Batman is reticent and slow to trust while Diana is noble and pure of spirit. 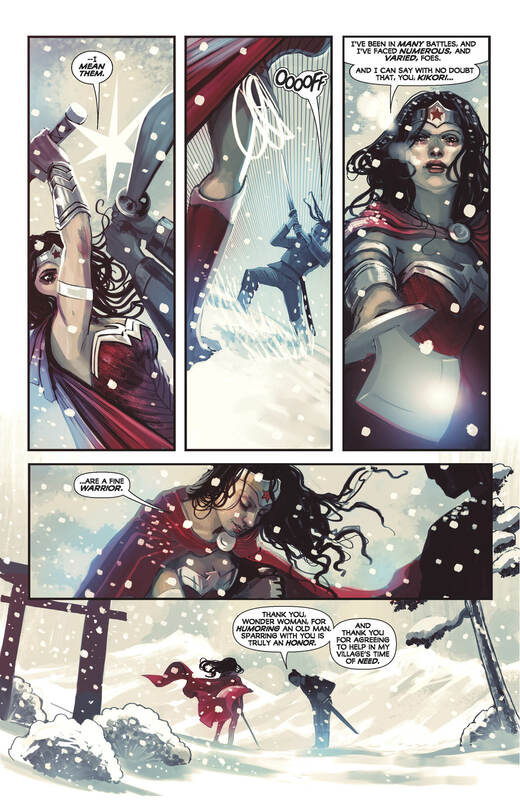 Rucka’s work is ably supported by some wonderful, expressive art from fellow Wonder Woman regular Nicola Scott. 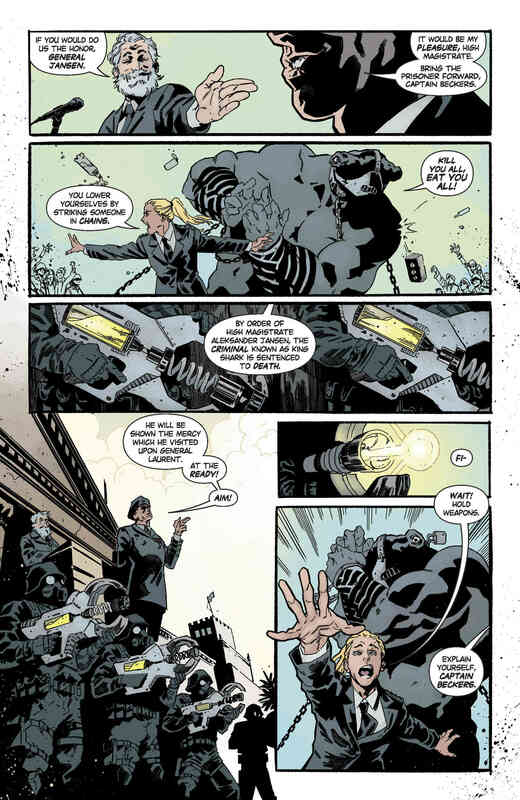 The second story is ‘In Defense of Truth and Justice’ in which Diana travels to Markovia to protect King Shark of all people from being wrongly executed for murder. 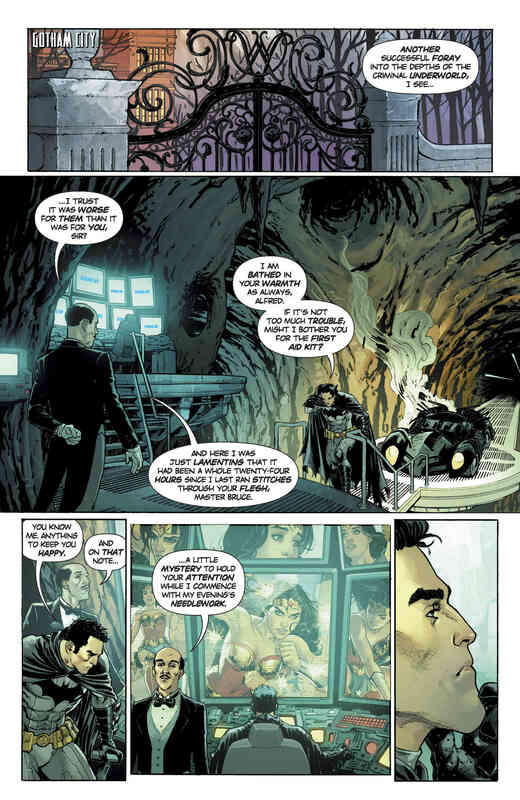 Vita Ayala delivers a brief action-packed tale, with some gorgeous artwork from Claire Roe that’s brought to life with a dark color pallet by Jordie Bellaire that sums up a core part of what makes Wonder Woman so special. Whether you’re man or monster, she’ll always stand up for what’s right. 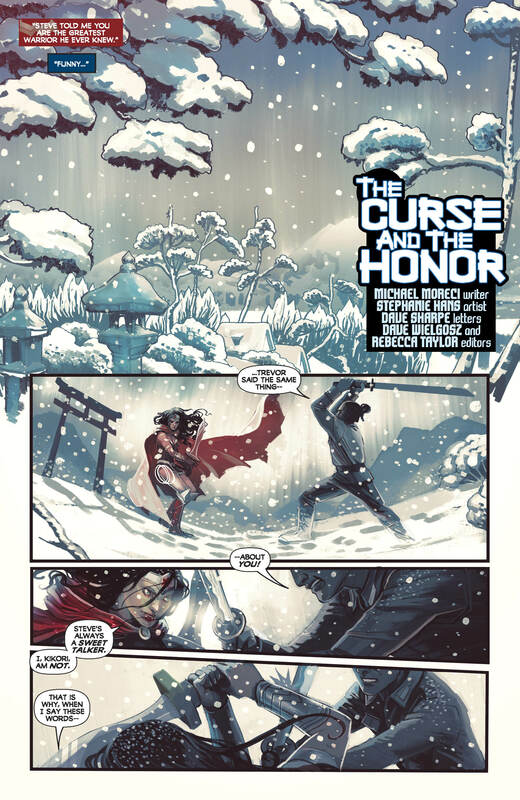 With her pure spirit and sense of justice already exhibited, ‘The Curse and the Honor’ examines the noble warrior side of the character. In a small Japanese village, Diana encounters a fellow brave protector who’s tragically been cursed to turn into a murderous monster. It’s a sad tale from writer Michael Moreci and artist Stephanie Hans that shows that, even if she can’t save a life, Diana will do what she can to help even the most troubled souls find peace. Rounding out the annual is ‘The Last Kaiju,’ which ends the book on a more hopeful, brighter note. 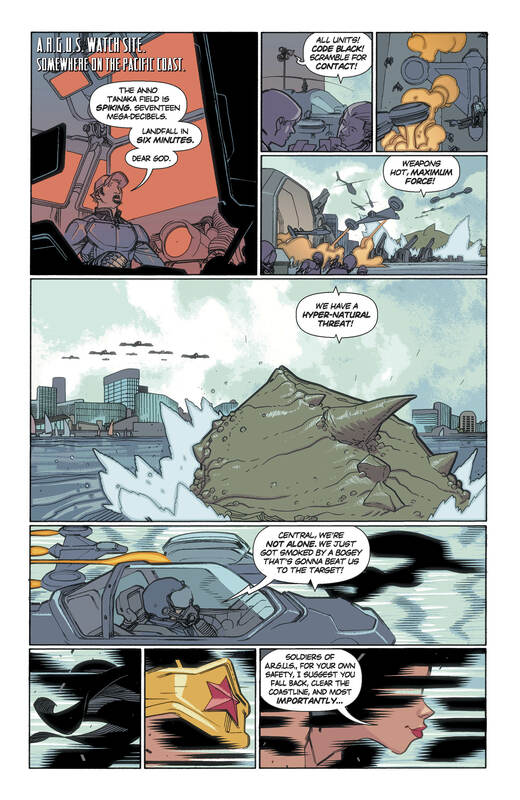 A Kaiju-type monster has appeared in the Pacific Ocean and is in danger of being shot down by A.R.G.U.S. – but Diana sees that things aren’t as black and white as they appear. 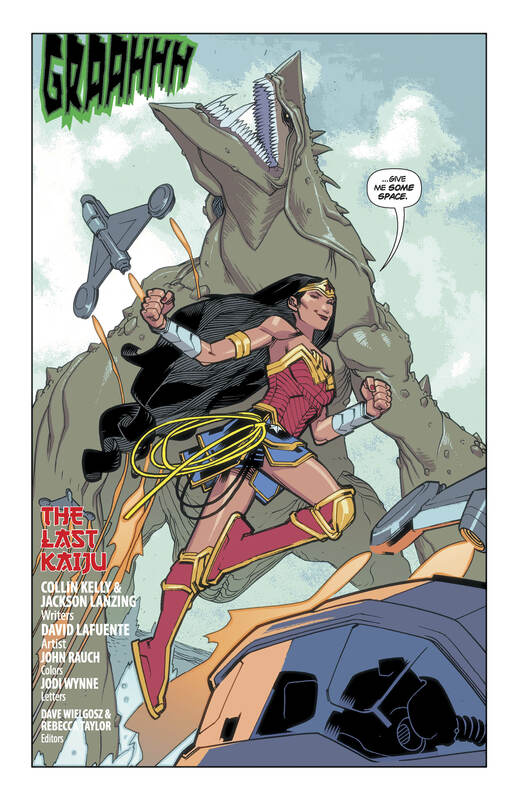 The slight story is thematically similar to Ayala’s tale earlier in the annual, but it’s a charming enough yarn from Collin Kelly and Jackson Lanzing, with some clean, colourful artwork from David Lafuente and John Raunch. In particular, the Kaiju is surprisingly cute. 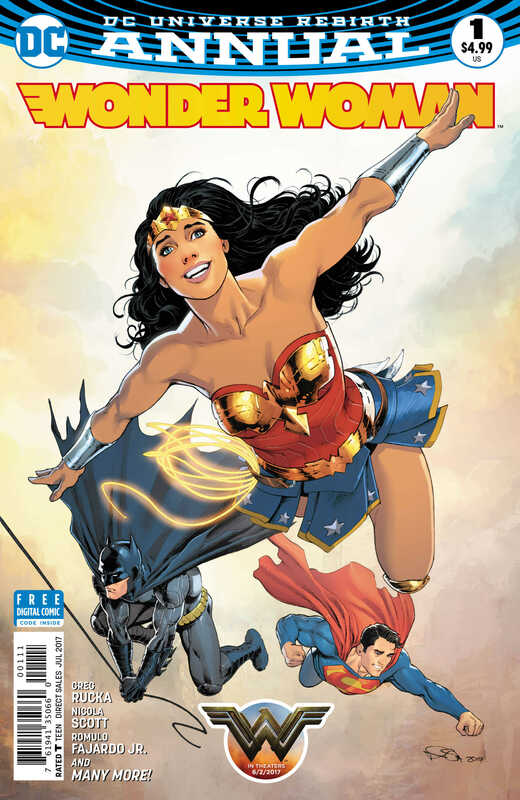 All in all, Wonder Woman Annual #1 is a strong collection of stories – and all but one have a female artist on board – with each one looking at a different part of Diana’s character and proving why she’s such a terrific heroine and role model. Some might be put off by the fact that it features a bunch of vignettes rather than a meatier single adventure, but you won’t be disappointed if you come for the strong character work and the great art. 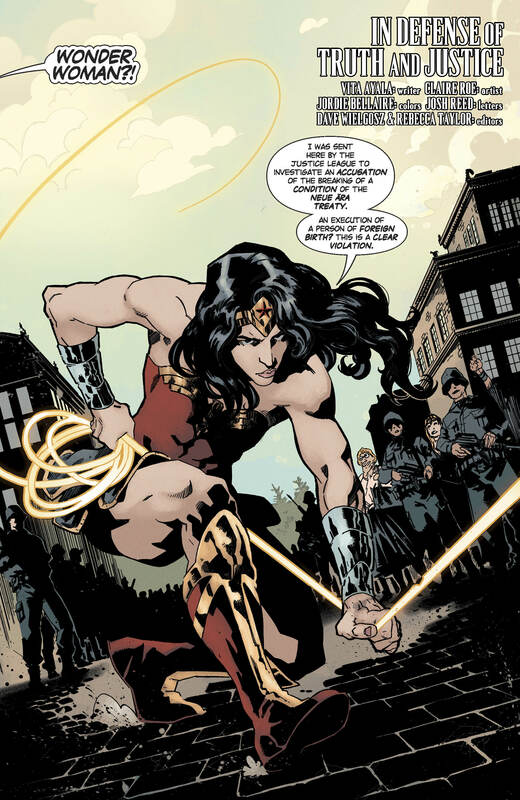 If the Wonder Woman movie understands Diana’s strength of heart and spirit as much as the stories in this annual do, then it will totally live up to the hype.